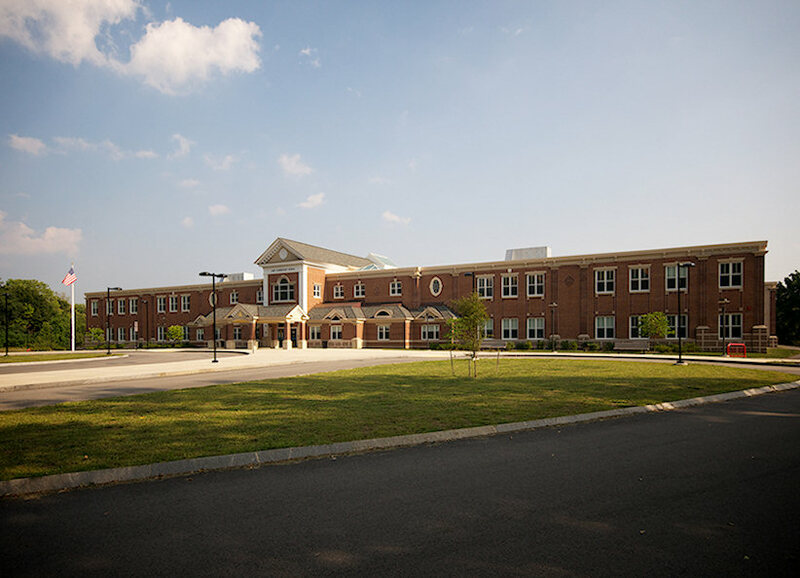 The New Hingham Elementary School was one of the first new elementary schools constructed in Massachusetts to be Green Certified by the Massachusetts Collaborative for High Performance Schools. The 21st Century educational facility integrates seamlessly into the historical residential neighborhood, and includes space for 630 PK-5 pupils on a 12.0 acre site nestled within a well-established colonial Hingham neighborhood. The project includes solar thermal renewable energy technologies, a gray water collection system, and many other green features. The two-story, 91,350sf facility provides an "unequaled" learning environment by successfully incorporating green, sustainable, technological, and educational strategies for teaching, planning, learning, and student socialization.